“And say to Archippus, ‘Take heed to the ministry which you have received in the Lord, that you may fulfill it… remember my bonds'” (Colossians 4:17,18ff). This personal footnote at the closing of Paul’s letter to the Colossians deserves a closer look. Perhaps in this word of exhortation to Archippus someone may see an application to their situation today. The ministry (as Scripture intends it) was not, and is not, a position of privilege or class distinction. It was never intended to be a professional office for someone to aspire to, the way one might train to be a doctor or a lawyer. But our situation today is very different from Paul’s time. In Churchianity Today, ministry is often equated to position, influence, title, rank, special privileges, and the most coveted of all prizes: financial remuneration. Unfortunately this mindset is not a 20th century phenomenon. By the middle of the second century the post-apostolic church was already beginning to divide itself along the lines of the “ministers” and the “regular people”. Less than 100 years after the last apostle died, after only one or two generations, the priesthood of believers began to be eclipsed by a clergy/laity distinction that continues unabated to this day. The situation in the Early Church was quite different. In those days, answering the call to ministry was to accept suffering, hardship, and possible death. Their example was Jesus, the Suffering Servant, and realizing that the disciple is not above His Master, they counted the cost and did not seek the ministry for self-serving purposes. Someone like Archippus had to be encouraged to fulfill the ministry God had given him. Why? Because it was not something anyone would pursue on their own accord. People did not pursue ministry in the Early Church; ministry pursued them. Ministry was not organized into a hierarchy, and it offered them little or nothing in terms of financial or material reward. It promised little or nothing in the way of fame, recognition, or privilege. This probably accounts for the reason why, in those days, the Harvest was truly plentiful, but the laborers were few. Today the self-appointed laborers are so many that they are trampling all over the Harvest. The professional clergy and the attitude it brings has become a liability to the Lord of the Harvest, not an asset. They have become a hindrance to the Harvest instead of a help; and today, rather than pray for more laborers to go forth, we might be better off to pray for some of them to go back home and sit at the feet of Jesus for awhile. For Archippus, it was not a matter of trying to make something happen, or create a ministry where none existed, or start a new church, or anoint himself to do something he wanted to do. He had already received a ministry from the Lord. The precise nature of this ministry, and what he was called to do, we have no way of knowing. It may have been something that, to our eyes, was grand and noble. More than likely, it was something small and seemingly insignificant. All we know for sure is that Archippus had received a ministry from the Lord, and he had not, as of yet, fulfilled it. Archippus knew it, and Paul knew it, and now everyone in Colossae knew it. He was called to something, and had received something from the Lord, but it was dormant, stagnant, inert, still waiting to be put to use. How ironic that the ones who have nothing to say are the most likely ones to be found preaching; they are the ones itching to speak, hankering to be on the platform – while those who genuinely have something to contribute have to be prodded and encouraged to share their wisdom. This is, perhaps, a built-in safeguard against the pride, arrogance, and high-mindedness that so often tempts, and too many times taints, those who have seen and heard something from the Lord – or merely think they have. Moses certainly knew something of that reluctance to go forth. 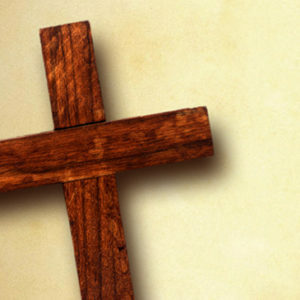 The work of the Cross was so thorough in him that he begged God to send someone else. This kind of humility and self-abasement is admirable, and to be preferred over a self-confident swagger; but if we persist beyond a certain point then our protests become false expressions of humility and real disobedience. When Moses persisted in his unwillingness to go, God became angry with him because his humility went beyond its reasonable limit and became something akin to fear. A truly humble person is not for or against a certain course of action. He is indifferent to the thing, and is only concerned for what God would have him to do, whether it be agreeable or disagreeable. In like manner, Timothy had to be encouraged by Paul. “Stir up the gift that is within you by the laying on of my hands… for God has not given us the spirit of fear… be not ashamed of the testimony of the Lord” (II Timothy 1:6-8ff). Paul does not tell Timothy to pray for a better opportunity, or passively wait for God to rise up within him and overwhelm him. Timothy needed to exercise the gift. He needed to stir it up. He had something to offer, something to contribute. Paul’s exhortation was not to persist in false humility or passive waiting, but to be proactive, to stir it up, and serve the Body of Christ as a faithful steward. According to Paul’s assessment, it was not a spirit of humility that held Timothy back, it was a spirit of fear. Archippus, like Moses and Timothy, needed some prodding and pushing. Archippus knew there was a calling on his life, and he knew he had received a ministry from the Lord. As content as he may have been to live life in the shadows, Paul would not allow him to continue to ignore that calling from God without some word of reminder, of correction, of encouragement to pay attention to it and see that it was completed. There are some who, far from the extreme of seeking out ministry for their own ambitious ends, are content to passively wait for God to fulfill everything in His own time. They will do nothing to hinder it, but they will do nothing to help it, either. While this is commendable to a certain extent when compared to the compulsive hast of the ambitious, it is probably motivated more by timidity and fear. Once a person has received their ministry from the Lord, the humble and patient waiting for it is finished. 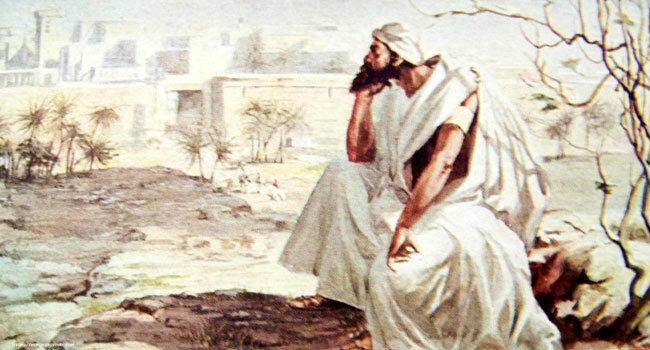 There was a time when Paul could resort to the desert of Arabia to be alone with the Scriptures and humbly wait for further direction, but when the Spirit finally did send him forth, he went without hesitation, without reservation. Now Paul says to his fellow laborer Archippus, “Take heed to the ministry which you have received from the Lord that you may fulfill it.” It must be fulfilled by someone, and the one to fulfill it is the one who has received it. You cannot fulfill the ministry that I have received from the Lord, and you cannot tell me how to fulfill it. Likewise, I cannot fulfill the ministry you have received from the Lord, nor can I tell you how to fulfill it. Paul did not tell Archippus or Timothy how to fulfill the ministry they had received. His counsel was very wise: stir up the Gift, pay attention to what you have received from the Lord, and the Spirit will show you how to proceed. But proceed you must; do not bury it in the ground like the unprofitable servant, but invest it in the Body of Christ right away. We are not suggesting that carnal methods can be utilized in fulfilling the ministry, but it must be fulfilled and discharged – not by the might or power of the one who is called, but by the same Spirit of the Lord Who issues the calling. Those who have received a ministry from the Lord must actively seek Him for how, and when, and where, to fulfill that ministry (this assumes we understand WHAT the ministry is, and what it is not). Once something is given by the Lord it becomes a sacred trust and a holy stewardship to the one who has received it. Like Frodo who was charged with taking the ring of power to Mount Mordor, the responsibility for the stewardship cannot be shrugged off or left to others. If every brother and sister in Christ would take heed to the ministry they have received of the Lord, and fulfill it, we would have no need of a professional clergy at all. It should be apparent that the unwillingness of every member of the Body of Christ to fulfill their individual calling has created a vacuum in the priesthood of all believers that others are only to eager to fill with an imposed hierarchy. In all fairness, it should also be recognized that many of the “laity” are quite content to remain “laity”, and actually prefer to have some Moses climb the mountain on their behalf and give them a word from God each week. They may call it a “church”, but it is nothing more than a cult of carnal co-dependency, a place where blind leaders can practice their leadership skills on blind followers. May it never be so with the Lord’s Ekklesia. For those who have a heart along the lines of Archippus, Paul’s final admonition is: “Remember my chains.” And this last word, immediately following the exhortation to fulfill what God has called you to do, is a very potent reminder of what Paul suffered on behalf of his ministry. Following his own advice cost him his life. He was not afflicted with Italian suits, Rolex watches, facelifts, cars, jets, and homes; but like his Master, he embraced the Cross and died daily so that others could live. His ministry was characterized by self-denial, not self-indulgence. Archippus is mentioned only once more in Scripture. A few years later, when writing to Philemon, Paul sends his greetings to “Archippus, our fellow soldier” (Philemon 2). If Paul greets him as a fellow soldier then Archippus must have certainly followed Paul’s exhortation to fulfill the work God had called him to. He was fighting in the trenches, not criticizing from the sidelines of the battle. I pray that all those who have received something from the Lord will take heed to it, and fulfill the work of the Lord in a manner that brings glory, not shame, to the Lord of the Work. Thanks Chip, this article has made me think of wasted time in not using the gift the Lord has given me.I need to redeem the time I’ve wasted. great word, I almost looked for the *like* button like on Facebook ( lol ) sorry had to add some humor.. Blessings Chip! the content of this article is powerful…and contains exactly the same content from a blog posting I read dated 2008…do you post other’s work and if so how is this acknowledged properly? I do not post other people’s works. So if you see the same thing somewhere else without my name on it, it would be copyright infringement on their part. We permit people to post our content provided they give clear attribution back the us. God spoke to me in a dream and said Philemon 2 (it confused me at first), which after some further research led me to this article. It blessed my spirit and is so on point in this season to the believer and the church. He is gathering nations to himself and setting things in order. I don’t know the circumstances behind your decision to leave “organized religion”, and I don’t need to know, but God has put a word in your mouth and it confirmed things God has spoken. Despite the “forms of godliness” parading around God is still raising up a nation that will obey. Those who have committed their ways to the Lord’s will (the true church) are in the process of rising up. Be encouraged.